I arrange words into stories. The country live in doesn’t really celebrate Halloween. But over the past few years it has been trickling in, the odd trick-or-treater roaming the streets, the occasional Halloween themed party brought on through the influence of the media, but traditionally, New Zealand has ignored Halloween. Instead, we prefer to get to together on Guy Fawkes Night. If you don’t know the story of Guy Fawkes you can learn about it in this short video. I find it a strange thing to celebrate, the torture and execution of a person, despite his intentions, and I’m pleased to say I haven’t seen a burning effigy of Guy Fawkes in years. Like most things these days, the history surrounding why we celebrate the occasion has been somewhat lost, and instead, the focus is on the pretty explosions in the sky . Over time, I image that Halloween and Guy Fawkes will melt together into one night of fireworks, bonfires and horror costumes. Much like it did in Forever Blue. Clever little plug there, right? But I didn’t intend to write this post as a history lesson. I wrote it because I thought I would let you know about two horror novellas recently released by New Zealand authors. 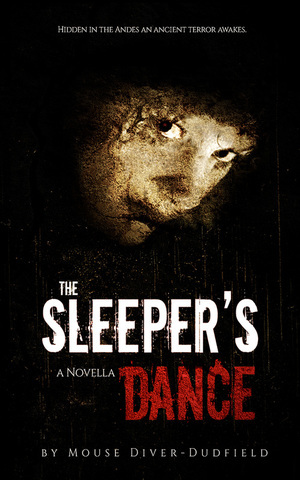 First off there is The Sleeper’s Dance by Mouse Diver-Dudfield. I had the pleasure of beta-reading this novella and finished it in one sitting. I’m a bit of a fan of zombies and this story put a historical spin on the genre that I really enjoyed. You can check out the book trailer for it here. And have a look at Mouse’s website here. I can assure you she’s an author to keep an eye on. 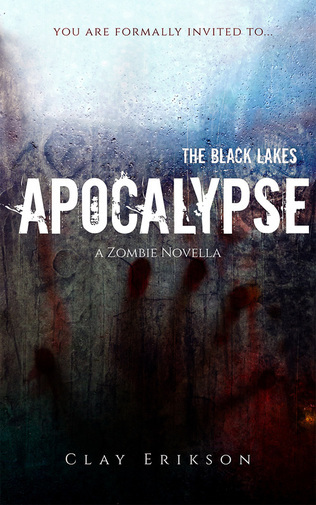 The next novella is The Black Lakes Apocalypse by Clay Erikson. This zombie horror/comedy is clever, refreshingly amusing and it is FREE for a limited time so make sure you grab your copy. Clicking on the name links to the two stories will take you straight to the Amazon site for purchase. You can have a look at Clay’s website here. If you are a fan of zombies, or even if you are not, I hope you take the time to check out these two stories and feel free to let me know what you think. P.S. While typing this post, I am experiencing what I would have previously categorised as a horror story. A rat is sitting on my shoulder and burrowing into my hair. The rats are an early birthday present for my daughter and despite my hesitation, the little critters have won me over. When vampires Liam and Jon go missing, it’s up to Aisling Green and her friends to find them, but doing so and surviving what awaits won’t be easy. Battling against things she cannot fight isn’t something Earthen witch Aisling Green is used to, but she must act quickly and outsmart the one that wants her dead and save the lives of her friends before it’s too late. As they follow the trail, they rescue a most unlikely person, and uncover a deeper, more sinister plot. With the lives of the two vampires on the line, they must fight for their lives, try to rescue their friends, and stop the evil plans. In the face of so much danger and uncertainty, they are forced to go to war and make a discovery that will change everything. The question then becomes at what price will they be forced to pay to survive? Listen is the third book in the Earthen Witch Series by Sarah Doughty. At first I was a little nervous to plunge into a series without reading the previous novels, normally, I would like to read the series in sequence, but Sarah Doughty did a wonderful job of providing ample backstory for the details of the novel to make sense, while still leaving enough unsaid to want to go back and read the previous novels. The story follows Earthen Witch, Aisling Green and her band of companions as they attempt to save some their own from the clutches of the Voodoo Queen of New Orleans. The story is fast-paced and full of action. There were lots of fun and interesting characters in the book, everything from vampires to ghouls, sphinxes to pixies, and even an appearance from a well-known literary character that I found both clever and intriguing. The Earthen Witch world is a vivid and rich one. I enjoyed learning about the powers and abilities of the characters and the ways they interacted with each other. Sarah’s writing style was easy to follow and the description was enough to set the scene without burdening the reader with unneeded detail. If you enjoy books like Charlaine Harris’ Sookie Stackhouse Series you will love the Earthen Witch Series, but do keep in mind that this series isn’t targeted at the YA audience and contains more adult themes. You can find more information about Sarah and her books at these links. Just a quick post to let you know that Forever Blue will be on sale for only 99c for all of September.